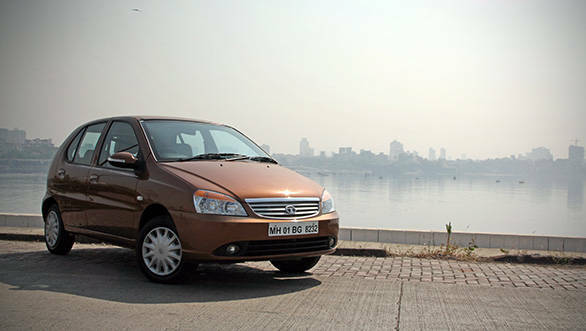 Tata Indica eV2 is yet another updated model from Tata motors. We've just driven it and it felt like I went back in time to the late nineties, the year of the hatchback revolution, the year when 'Kaho naa pyaar hai' went on to become a blockbuster and the year when I stood outside a Tata dealership and couldn't stop staring at the Indica. Its been 15 years since the first Indica rolled out and it hasn't changed much, at least from the outside. The car is not so fresh but still looks rather smart, after all the car was initially designed by Italian design house, I.D.E.A. So what has changed? The front end receives a new grille and goes back to the smiling design seen in earlier models. This gives the car a typical classic Indica look. 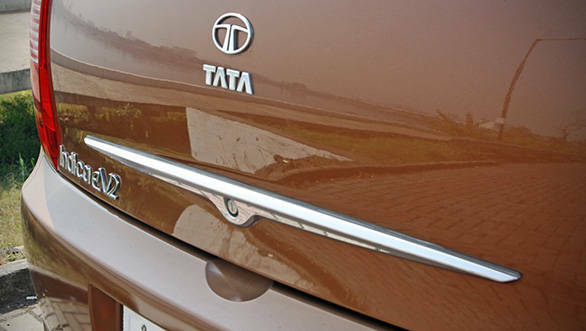 The bumper however is the newer design while the headlamps are simple and not smoked like in the Indigo eCS. 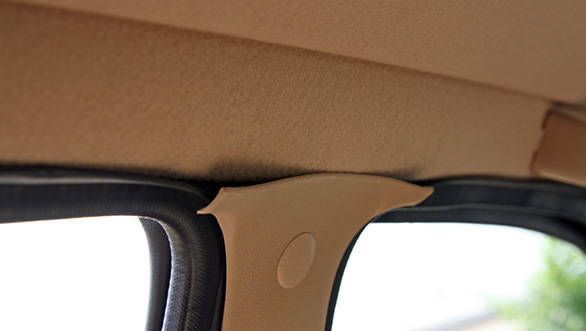 The sides are exactly the same as the first model and it makes do without the cladding seen in the earlier Indica V2. The rear end is the same and gets just one addition in the form of a chrome strip. Inside, the interiors are finished in beige and the dashboard and door pads are now black. There are a few contrasting silver hued inserts that try and add modernity to the cabin however, the fit and finish is still not up to the mark. 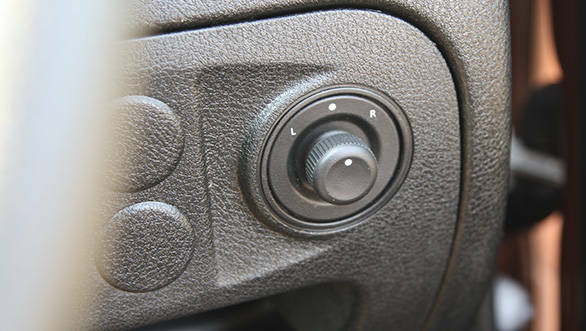 The air con knobs for instance feel like they won't last long and look unfinished. 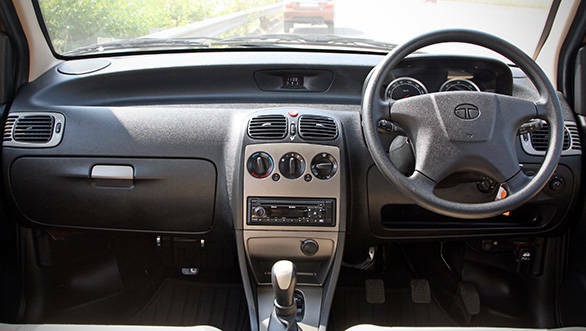 Added features inside is a new four-spoke steering (which has been used before in the Indica) and a magazine/bottle holder. The mirrors are now electrically operated. The standard stereo continues to offer Bluetooth, USB and Aux-in connectivity. The Indica is only offered in two diesel models, (petrol has been discontinued) the CR4 and V2 with the latter being a BS3 model. We drove the BS4 CR4 model. The car uses a similar block as before but with a 16 valve DOHC and common-rail system. Power is similar as before (70PS@4000rpm) while torque has increased from 135Nm to 140Nm produced between 1800-3000rpm. Turbo lag has reduced slightly and makes it easier to drive around town. A new F-shift 5-speed gearbox offers easier shifts but isn't precise. The clutch has also been updated and is now lighter. The suspension gets a few tweaks and this helps improve ride quality. Over bumpy and undulated surfaces, the ride was impressive, overall suspension noise has also reduced. Ride quality is the car's biggest USP. The steering feel is same and is a bit vague at higher speeds. The brakes though haven't improved and feel spongy with a long travel. Plus there is no ABS even as an option. The Indica eV2 CR4 is priced at Rs 4.53 lakh for the LS variant and the LX at Rs 4.96 lakh, ex-Mumbai. At this price point, the car is one of the more affordable diesel hatchbacks on sale today. What Tata motors should do however is replace the Indica with the Vista by offering a CR4 engine and make it BS4 compliant, the BS3 variant is currently only available with a TDi engine and is just slightly more expensive than the eV2.